My brother Blaine, 6.5 years older than me, loved to arrange things with us younger siblings. His schemes could be very elaborate. His bedroom was down a long flight of stairs. He would start up the Point System in early November. The gist of the point system - for us younger ones - was to do everything necessary to get the most points by December 24. Blaine would start asking favors very early in the holiday season. Anyone who failed to "snap to" could drop precipitously on the point chart. The point chart was all in Blaine's head and we never knew exactly where we stood. This was very disconcerting to us, and we were careful to never miss an assignment, or even to be too slow. He was cagey, telling each of us individually that we were ahead in the point system, but not by very much. This kept our attention. We hauled water down to him. We ran sandwiches down to him. He had us doing favors for him upstairs, too, but the thing I remember most are those trips down that endless flight of stairs. We cleaned his room, pressed his slacks and sneaked into the storage room to bring him some forbidden fruitcakes. Mother was always shocked at Christmas to find that he and Reed had pretty much emptied the shelf. On Christmas Eve, each of us would go to bed secretly thinking we had the most points. The prize - the payoff - was that the kid with the most points would be the first one awakened by Blaine on Christmas morning. Naturally, we had a terrible time getting to sleep. However, we would start stirring around by 4 or 5 a.m. We would sneak out to the living room and start the package rip-fest. Blaine would awaken several hours later and join us without a trace of remorse. I love this story. Blaine is my kinda guy. on Ken? I can just picture it. Still laughing. What I want to know is if you did this to Reed and Elaine the older you got?! It's fun to hear all the details of this famous story. When will you post again??? I want to hear all about your life growing up in Price. Please?? My name is Maudeen. I also go by the name Deenie.My birthday is December 12. I am a Saggitarius. 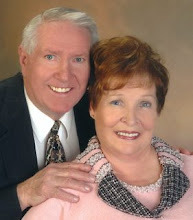 I have been married for 47 years to my best friend, Gene. Our four extrordinary children are Barbara, Kenneth, Jodi and Brian. I am an image consultant/color coordinator, retired. I have lived most of my life in Salt Lake City, but I have such fond memories of Price. I graduated from Carbon College two or three years before it became known as The College Of Eastern Utah. My parents were Clifford Warren and Maude Johnson Warren. My siblings are Blaine, (Janet); Connie, (Mont); Reed, deceased,(Louise); and Elaine, (George). Mom and Dad were Stalwarts. Real Pricites. My Mom always referred to everyone from Price as "Pricites". The moniker has ingrained itself so deeply into my consciousness that I cannot think of a better name for my new blog than "Pricite". Among my many friends from the good ol' days is Marianne. She and I keep in touch and see each other on occasion. She is wonderful.